Home » Tourism News » Best Job in the World Campaign returns. Best Job in the World Campaign returns. Posted on Mar 6, 2013 | Comments Off on Best Job in the World Campaign returns. 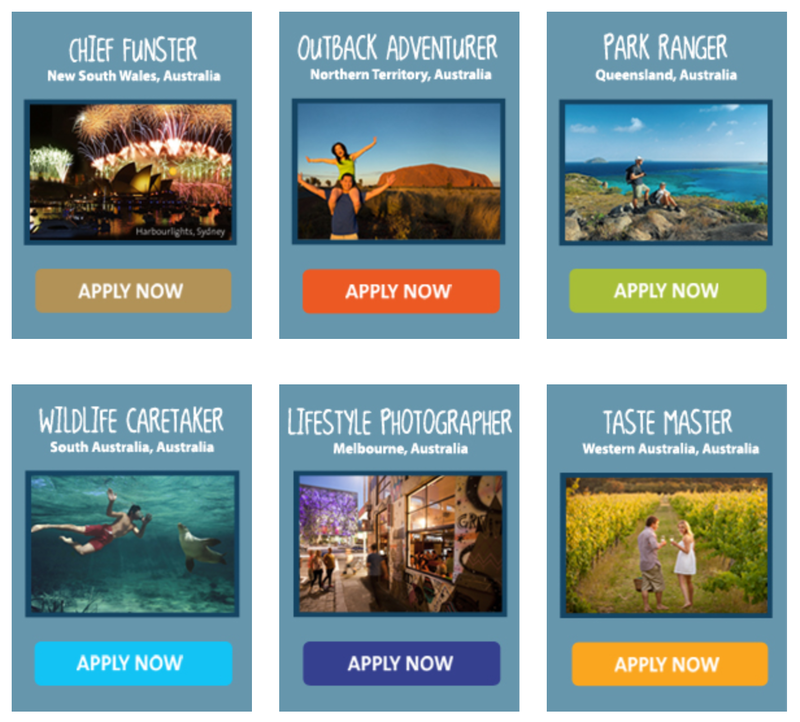 Tourism Australia has relaunched its “Best Job In The World” campaign. The organisation has teamed up with industry and State and Territory tourism partners to offer six new “Worlds best jobs”jobs. The CampaignIt builds on Queensland Tourism’s 2009 best job in the world push, which achieved global mega-coverage by offering the chance to be an island caretaker on the Great Barrier Reef. Some 35,000 entries were received and it was won by Ben Southall. The push targets the $12bn youth tourism market in a bid to entice more young people to Australia. Not just to holiday, but to fill vital roles in the tourism industry. Not to mention the other sectors that rely heavily on working holiday makers. Targeting travellers between 18 and 30 years of age , with a focus on international markets eligible for Australian working holiday visas, including the UK and Ireland, the US and Canada, Germany, France, Italy, Sweden, Hong Kong, Taiwan, South Korea and Japan. Tourism Australia Managing Director Andrew McEvoy said the competition was expected to appeal to youth travelers’ sense of fun and adventure. “The youth market contributes more than a quarter of all Australia’s international arrivals. These are visitors who tend to stay longer, disperse widely and often come back again, with their families, later in their lives. For many young people, Australia’s working holiday visa programs provide the economic means to fund travel plans, and this is at the heart of our new campaign,” he said in a release. So all you under 30 international travel hipsters and taste makers, dust off your resume and enter below.